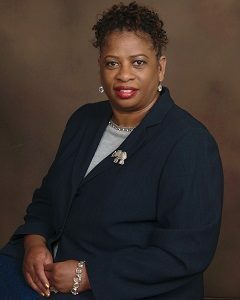 My name is Cornelia Crenshaw BSN, RN, and I am the Executive Director of Ask-Carol’s Senior Living Advisor in the Atlanta, Georgia and surrounding areas. I’ve been a nurse for over thirty years, and I’m also a Certified Independent RN Patient Advocate. I love helping people, especially seniors. Tragedy struck my family twice, only a day apart. One day my Dad passed away and the very next day my Ma had a brain aneurism rupture. Over time she recovered well, but dealing with the healthcare and emotional issues was a strain for both of us, even with my experience. I understand why it can be so difficult for other families, because I’ve been through it myself. Find the Right Assisted Living or Nursing Home in the Atlanta, Georgia, Area. I’ll Help You at No Cost. I chose to work with Carol because she understands the difficulties of finding care for a loved one and has personally helped over a thousand families. Carol and I understand what you are going through because we have faced similar problems. I think my main attributes are my empathy, patience, and ability to dissect medical jargon into everyday terminology. I’d love to help your family find appropriate senior living and care for your parents and loved ones. Most often I find that assisted living is the best solution, but sometimes its independent living or even home care. Every situation is different! I know what it’s like to struggle with making a decision about care for your loved one because I faced it with my Ma. I look forward to helping you find the best care possible so that your loved one can have the fullest life possible. Call me at 1-470-377-5555 or fill out my contact form days, evenings, or weekends. I promise I will help you through this difficult time.